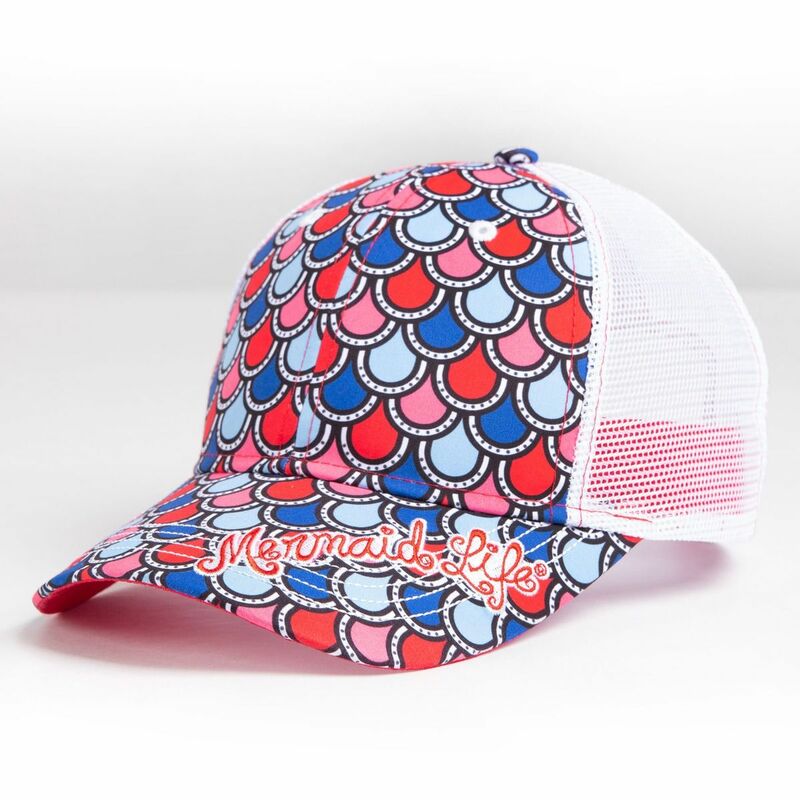 Celebrate your mermaid side in a display of patriotic colors with this Mermaid Life® women’s cap featuring scales in shades of red and blue with a white mesh back. Every mermaid needs a mesh back cap to keep her head cool during hot days on the beach—and this mermaid-scale hat for women is a stylish solution! 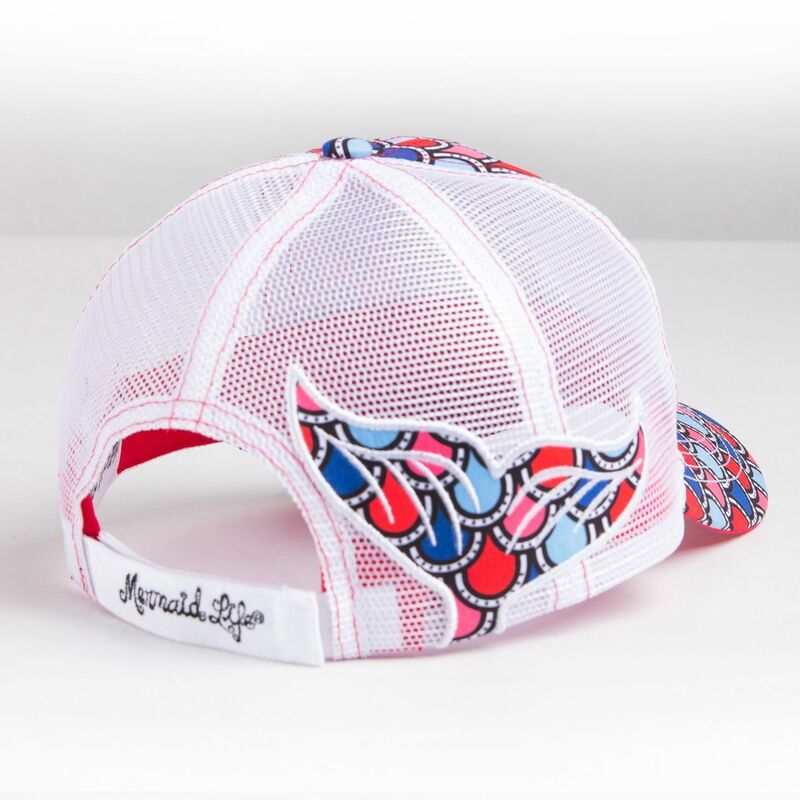 You’ll adore the colorful scales of red, pink, royal, and light blue cascading down the front of the cap and wrapping around in a mermaid tail shape at the back. Materials & Care Instructions: Machine wash warm on the gentle cycle. Hang dry. 100% polyester.